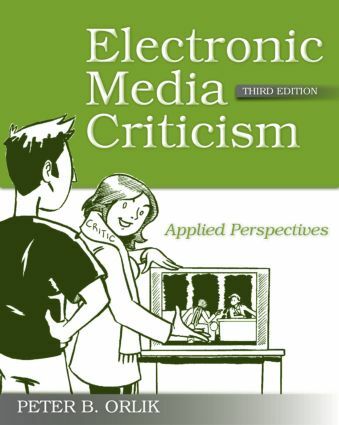 Electronic Media Criticism introduces readers to a variety of critical approaches to audio and video discourse on radio, television and the Internet. The book applies key aesthetic, sociological, philosophical, psychological, structural and economic principles to arrive at a comprehensive evaluation of both programming and advertising content. It includes numerous critiques to illustrate the ways in which critical expression can be structured, providing readers with feasible and flexible tools for focused and rational analysis of electronic media product as well as enhanced understanding of the role and essential ingredients of criticism itself. These insights range from the perceptions of Plato and Aristotle to the research that motivates twenty-first century marketing and advertising.